CyberpowerPC introduced new gaming PCs with AMD Radeon HD 7870 and 7850 graphics cards. CyberpowerPC Inc. www.CyberpowerPC.com, a global manufacturer of custom gaming machines, today announced it will feature AMD’s new Radeon HD 7870 GHz Edition and AMD Radeon HD 7850 GPUs across its entire desktop gaming PC line. CyberpowerPC thinks it’s time to broaden your horizons and tap into the full potential of your GPU. The AMD Radeon HD 7870 and 7850 have been engineered to be the world’s most advanced graphics cards. They feature the award-winning GCN Architecture -- the industry’s first 28nm GPU design with full support for DirectX® 11 to power the next generation of high-def games and multimedia. CyberpowerPCs designed around these advanced new GPUs also feature PCI Express 3.0; AMD App Acceleration to get unprecedented performance in everything from browsers to video editors; AMD ZeroCore Power technology, which shuts down the GPU during periods of long idle; and AMD Eyefinity technology, which delivers the unfair gaming advantage you deserve with multi-display support, 5x1 landscape, and 3D support. The new Radeon GPUs will be offered in all CyberpowerPC desktop gaming PCs including the Gamer Infinity, Gamer Ultra, Gamer Xtreme, Fang series, and the recently released Zeus series. These new AMD GPUs will also be offered as part of CyberpowerPC’s huge March Madness offering, which features 10% off on select gaming PCs, free gaming hardware upgrades and more at www.cyberpowerpc.com/landingpages/2012MarchMadness/. The promotion is limited so do not wait until the last second and throw up a buzzer beater because you may miss out. Base price of CyberpowerPC gaming systems based on the HD 7870 GHz Edition and AMD Radeon HD 7850 GPUs start at $799. All CyberpowerPC gaming systems can be customized with a number of performance hardware and components such as CyberpowerPC’s Advanced Hydro Liquid Cooling kit, Solid State Drives, Blu-Ray drives, performance gaming memory, gaming peripherals, business and productivity software, and more. All systems are housed in a gaming chassis from top-tier manufacturers that are designed to be feature rich with advanced cooling, silent performance and extreme airflow. Every system is meticulously built with precise cable routing to ensure optimal airflow and a clean aesthetic appearance. CyberpowerPC loads every system with Microsoft Windows 7 Home Premium Operating System for an enhanced gaming and multimedia experience. 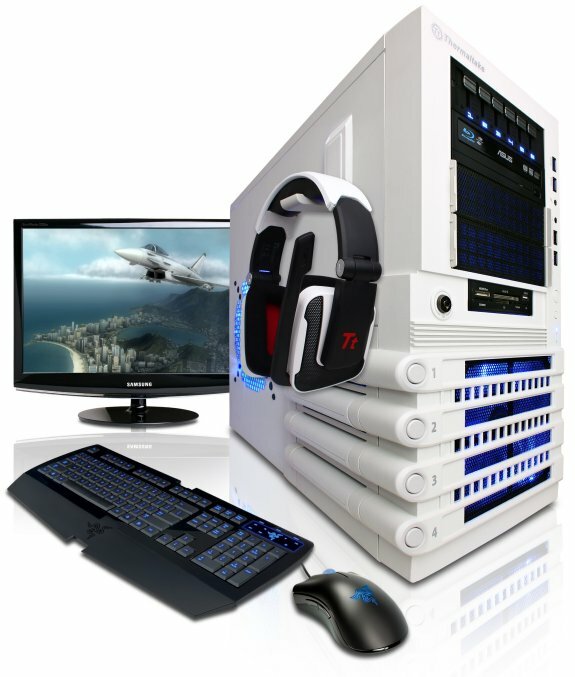 All CyberpowerPC desktop gaming systems include an industry-best 3-year limited warranty.